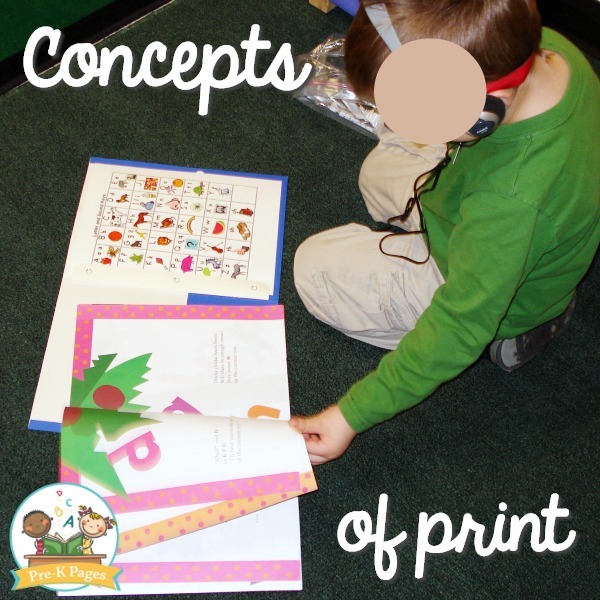 Developing concepts of print is an important part of the emergent literacy process. The best thing about teaching concepts of print to young children is that you don’t need any extra tools or supplies, you just need books! The basic understandings of how books and print work are referred to as concepts of print. Why Are Print Concepts Important? Before children can begin to read, they must understand how books and print work. 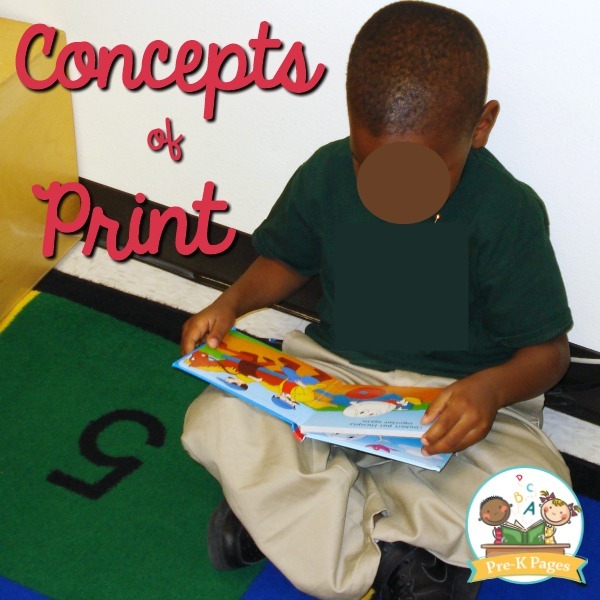 Considered precursors to reading and writing, concepts of print are crucial for future reading success. How Do Children Develop Concepts of Print? 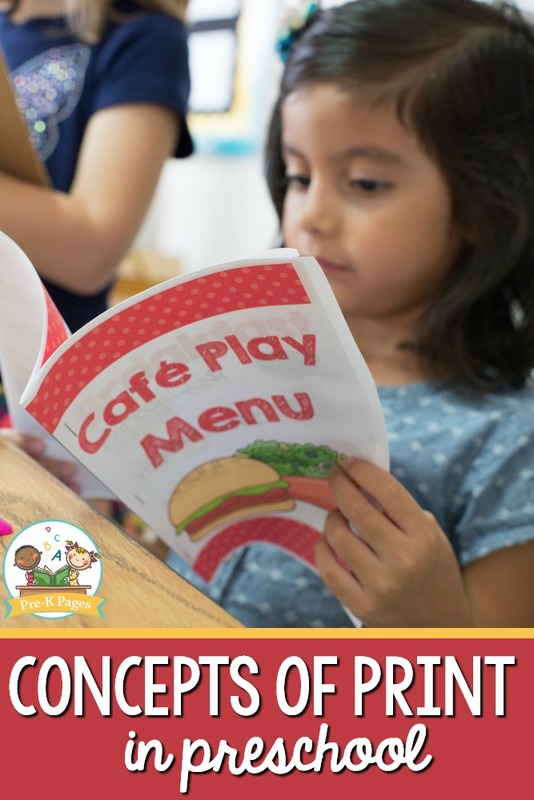 Young children may begin to develop concepts of print at a very young age. How quickly young children learn concepts of print is directly related to how often they are read to. The best way to teach young children about concepts of print is to invite them to explore books, writing, and drawing as often as possible. 1. 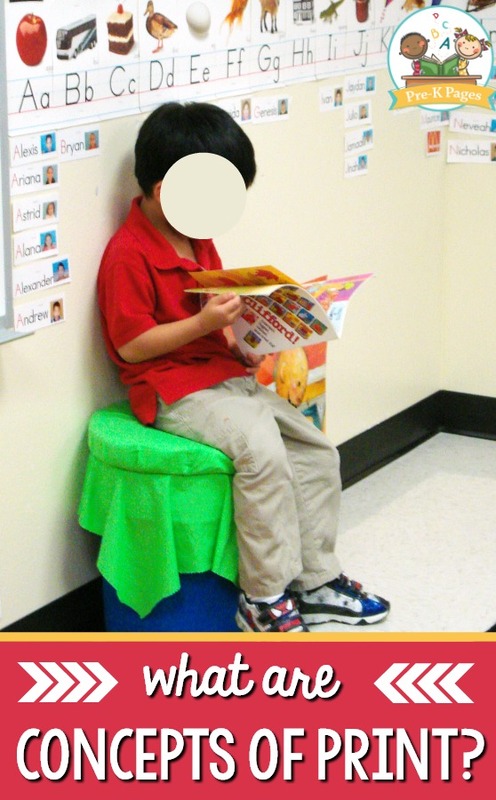 Point to the words in books as you read-aloud to develop one-to-one correspondence between spoken and written words. 2. Point out words, spaces, letters, lines of print, left to right, top to bottom, direction of print during your morning message. 3. Use environmental print to make references to words, spaces, letters and lines of print. 4. Have children suggest where the teacher should begin reading the words on the page of a big book. 5. Count the words in a line of print or clap for each word spoken aloud can help develop concept of a word. 6. Use student name cards and classroom labels to help children recognize words that are most meaningful to them. 7. Use a variety of hands-on activities to develop an awareness of letters, e.g., play with letter cars, magnetic letters, plastic letters and alphabet games. 8. 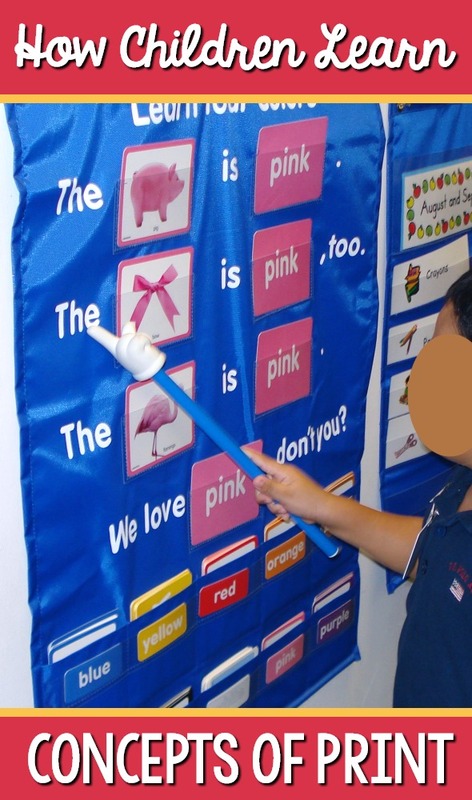 Display an alphabet chart at children’s eye level and refer to it daily. 9. Provide both upper and lowercase magnetic letters of the alphabet for children to use daily. Teaching concepts of print is important, but it’s only one small piece of the literacy puzzle. If you really want to bring your A game, the best place to learn current best teaching practices and get the support you need is in the Teaching Tribe. We have many printable lessons and on-demand video trainings to help you become the best teacher you can be! If you want to get on the waiting list for the Teaching Tribe, do it soon so you don’t miss the next open enrollment period!